[March 23, 2017] LINCOLN - John Fulton, Unit 16 (Logan/Menard/Sangamon) County Extension Director, has announced his retirement from Extension effective March 31, 2017. John has been with Extension for 36 ½ years and spent a vast majority of his Extension career in Logan County. 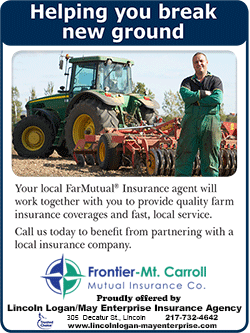 He began his Extension career in Sangamon County as an Agricultural advisor later moving to Logan County. He has served in the County Director position in Logan County for the past 24 years. John is an active member of the Illinois Extension Advisers Association and National Association County Agriculture Advisers, Illinois Extension Professionals for Youth Education and National Association Extension 4-H Agents. He has received numerous National and State awards such as multiple recognitions for Outstanding Programs, Personal Column, Newsletter, Website, and Distinguished Service Award. 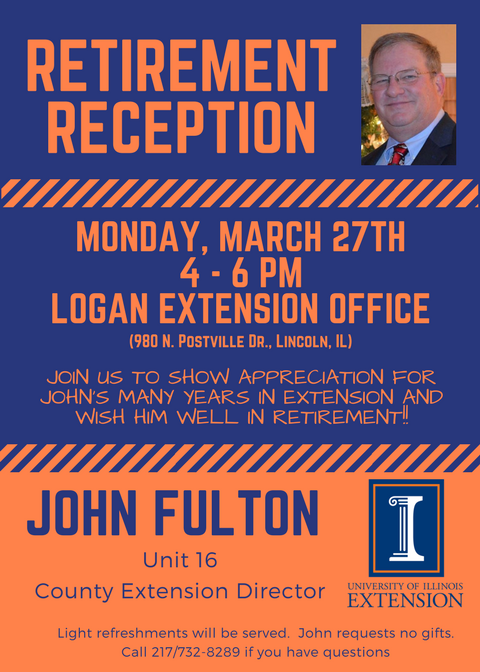 A Retirement Reception in John’s honor is planned on Monday, March 27th from 4-6 pm at the Logan County Extension Office, 980 N. Postville Drive, Lincoln. 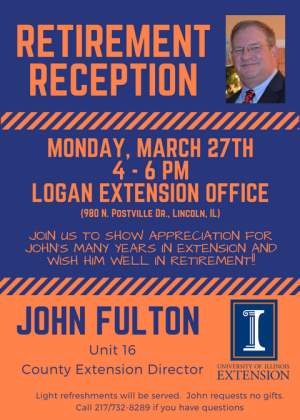 The general public is welcome to attend to show appreciation for John’s many years in Extension and wish him well in his retirement.